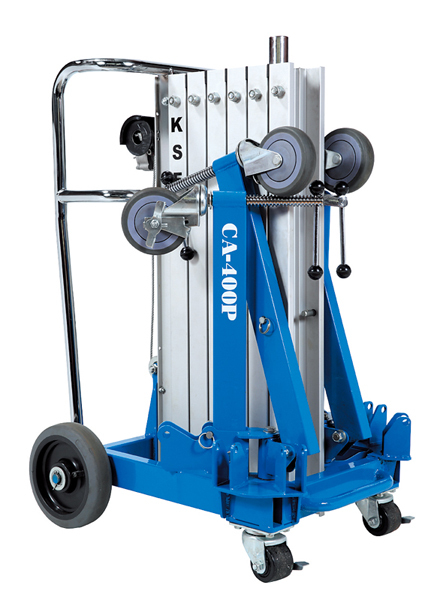 KSF SUPER LIFTER CA400 for air conditioners, awnings, garage door etc. 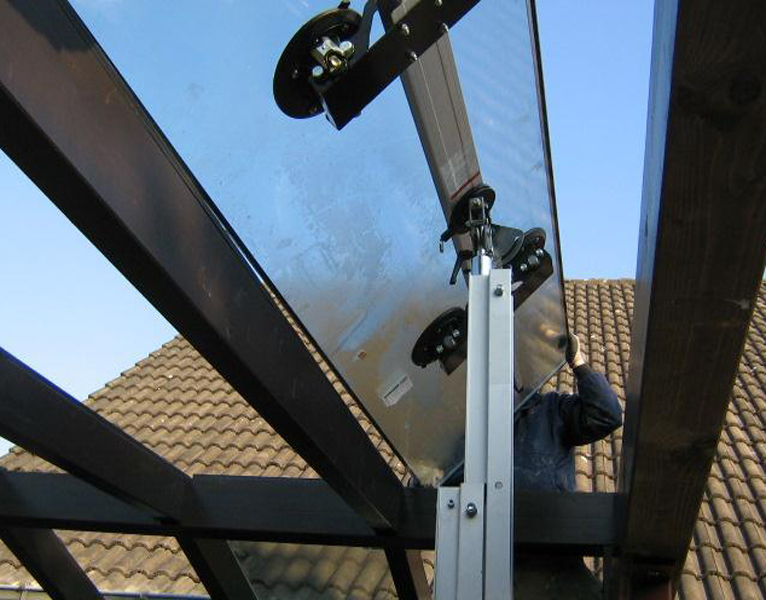 With the Glass Cradle, the Super Lifter is ideal for the manipulation and installation of glass panels up to heights of 4 meters. 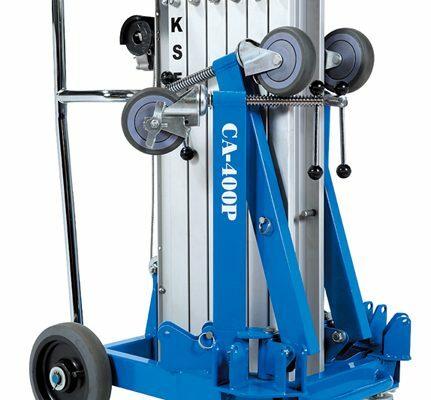 Compact and Maneuverable – Loading height of only 96 cm. 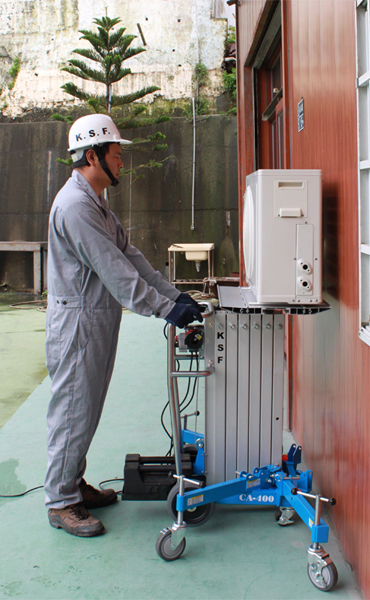 Electric Motor- Variable speed controller with long cable and belt clip. 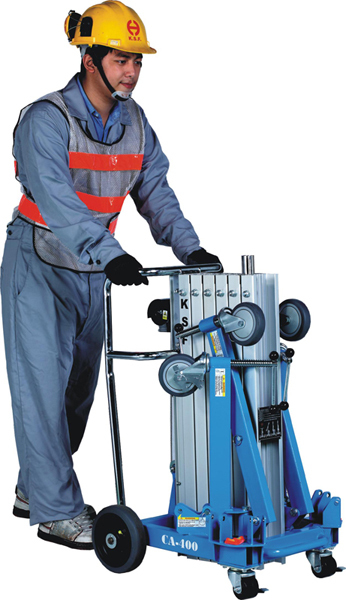 Adjustable legs- Use lifter on uneven surfaces and adjacent to walls. 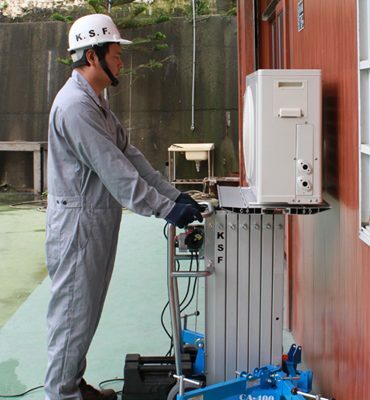 Level- Ensure mast is vertical before operation. 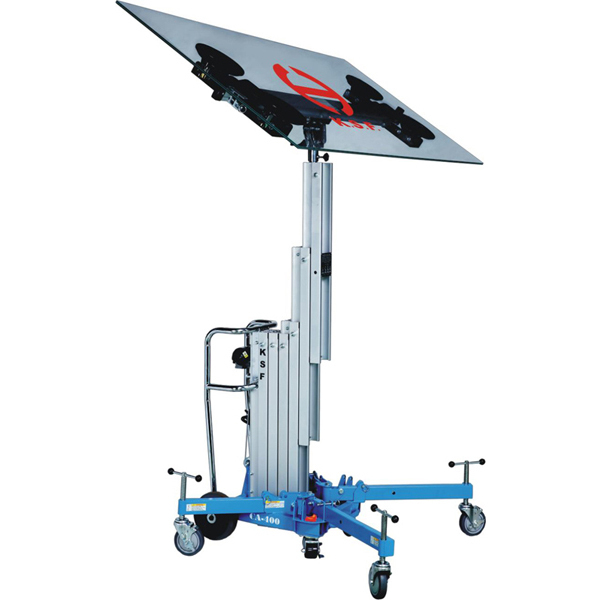 Telescoping Mast- Compact, Strong and Light – made with robust, specially heat treated aluminum. 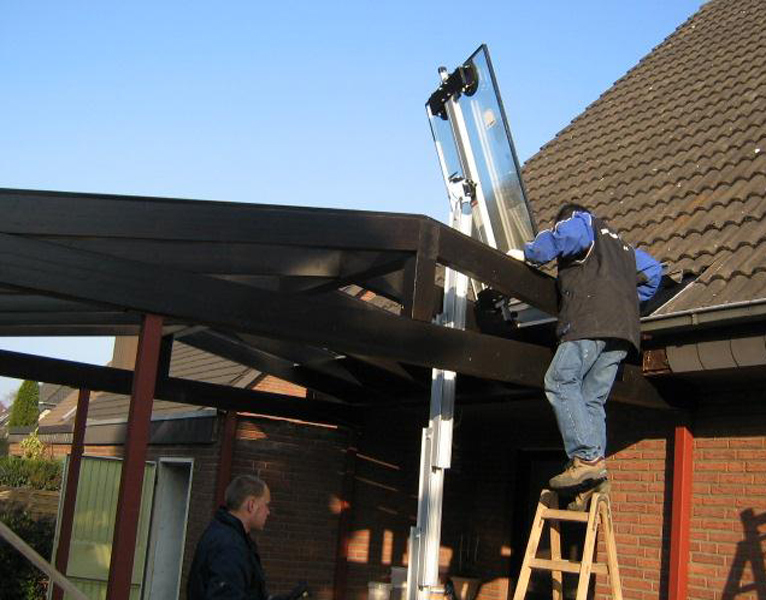 Manual Controls- if no main power available, use cordless drill or handle to operate lifter. 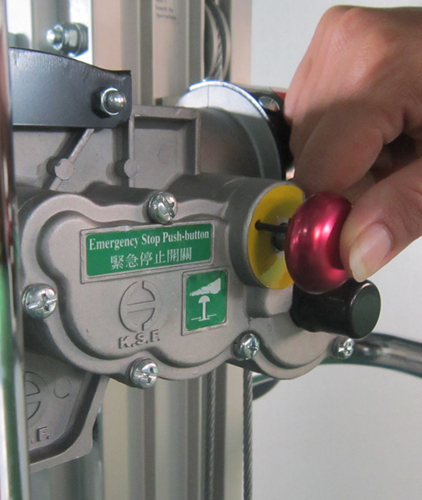 Emergency Stop Button-Also safety interlock switch for manual control. 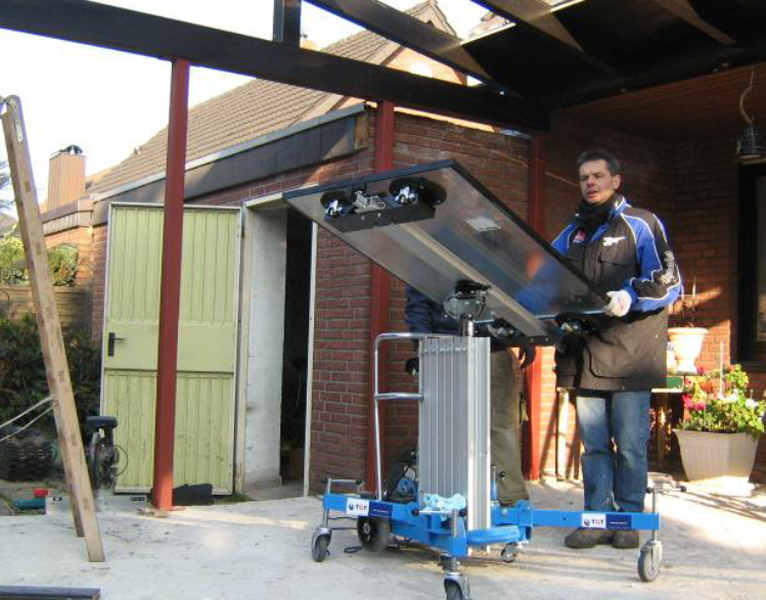 Setup in 30 seconds- No tools required. 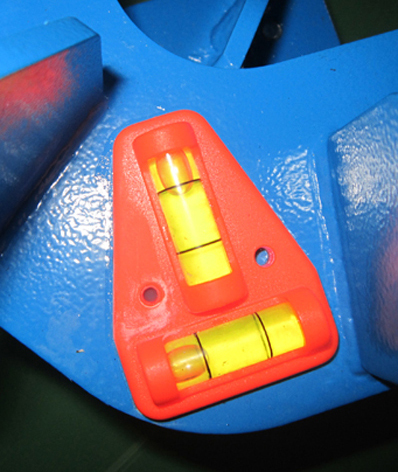 Overload Cut-Out- Fitted with overload clutch for safety. 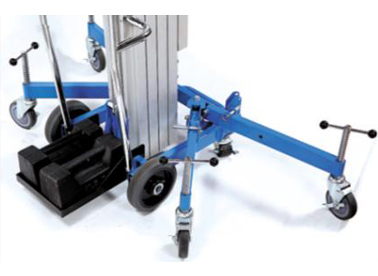 Wheels for Mobility- Fitted with 5” castors for easy transportation and maneuverability. 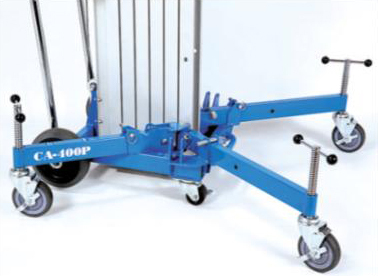 Fine Positioning- Align load precisely with variable speed controller. 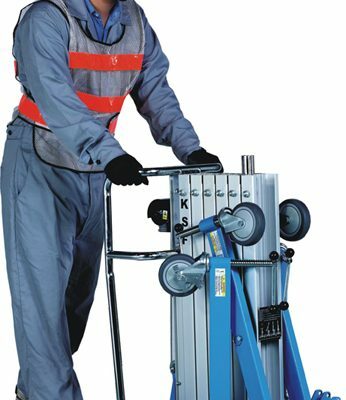 Small and Compact Lifter with loading height only 96cm! 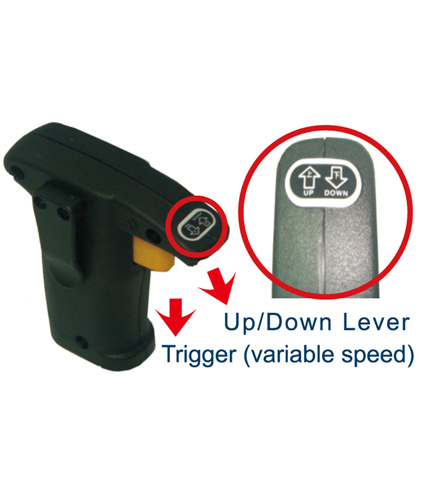 Variable speed with belt clip. For locations with no aims power. Equipped to help ensure proper set up. 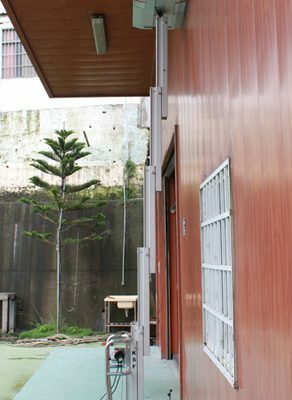 Flat Leg Configuration – For operating adjacent to a wall. 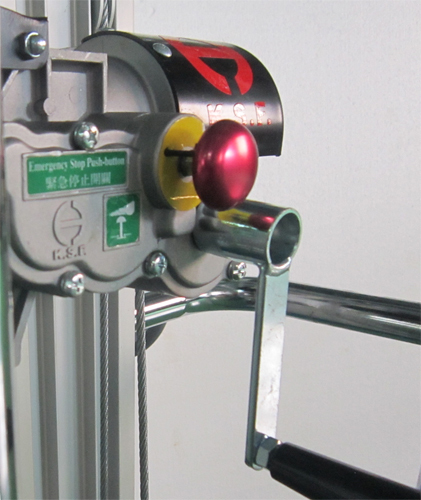 Red line on plunger indicates vacuum seal. 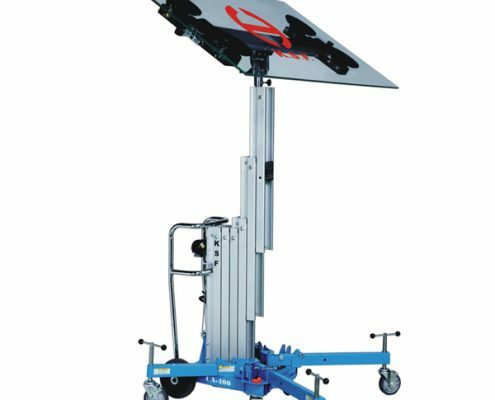 Designed for overhead and vertical installations, angle adjustment up to 90.